Crisis-hit bank TSB ignored warnings from its own staff that pressing ahead with an IT upgrade would cause disaster, trade union officials have claimed. The TSBU union, which the bank does not recognise, told bosses that work on the IT upgrade was behind schedule, and that the new system was unstable and needed further testing. 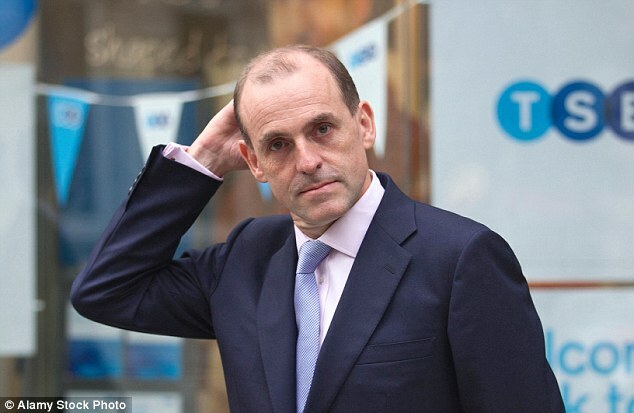 The bank, and its boss Paul Pester, forged ahead anyway – triggering a meltdown which left up to 2m people unable to access their bank accounts. Branches and call centres were overwhelmed and fraudsters swooped in to steal money from those affected. TSBU warned of issues with the upgrade as long ago as September last year, according to evidence that general secretary Mark Brown gave to MPs on the Treasury select committee. Its newsletters quoted staff who said they felt under massive pressure to hit targets, and in a damning statement, Brown said staff were ‘frightened’ that if they raised issues it would be ‘used against them’ by managers.